This blog is all about sharing my projects, experiences and passion for couture and craftsmanship. I have been sewing off and on for a long time but I have never kept a record of my sewing projects – well, the blogging was not yet born then. Many of mine designs find inspiration in the old yet the ultra modern Art Deco. I love the elegance and simplicity of the Golden Decade. How it all started? My grandfather was men’s tailor and thanks to him my mother and my aunt (older sister of my mother) where very creative as well. Non of them were sewing professionally. My mother was more knitting then sewing so we (I and my sister) had always very modern sweatshirts, gloves, etc.. After my mother had bought her first sewing machine we started to sew. My mother learned us small couture techniques she learn from her father, which I am still using. I was studying sewing techniques for 5 years – my specialty was knitted fabrics, however I did not proceed with my career in this direction. Still, I did not break with sewing – I was always making clothing for myself and my family. When I moved to The Netherlands I stopped sewing for some time however as it was not so easy to buy proper fitting garments here – most of the Dutch girls are much taller – I started sewing again. And I am very glad I did it. I missed it. Having unique, tailored, well-fitting garments gives such a great feeling. 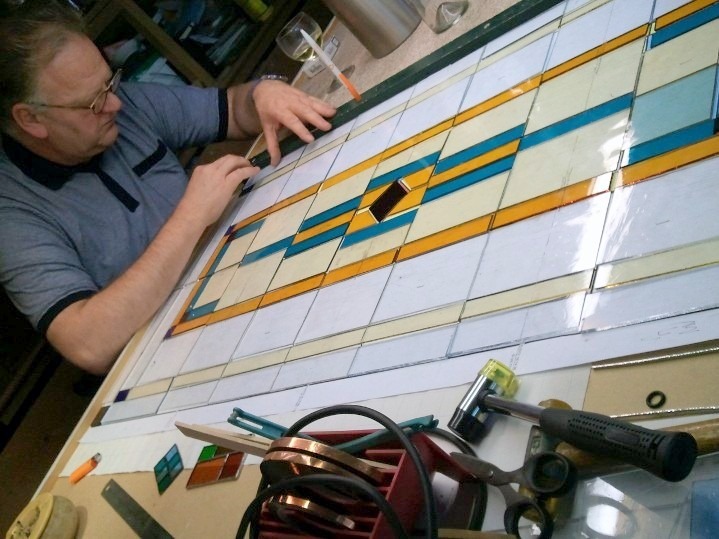 Stained Glass adventure – When we moved to Apeldoorn, in the east of the Netherland, we have bought a house originated from 1930. In this period it was very common to have the stained glass windows. Unfortunately a previous owner replace them with plain glass. We have found the stained glass panels at the attic and so the hobby of my husband was born. He decided to renovate all panels and step-by-step replace the plain widows with the old-new stained glass. Stained glass jewellery – Working with stained glass means a lot of remaining or broken glass. Leftovers that can not be used for glass panels anymore. My first creations were made using the Tiffany technique. 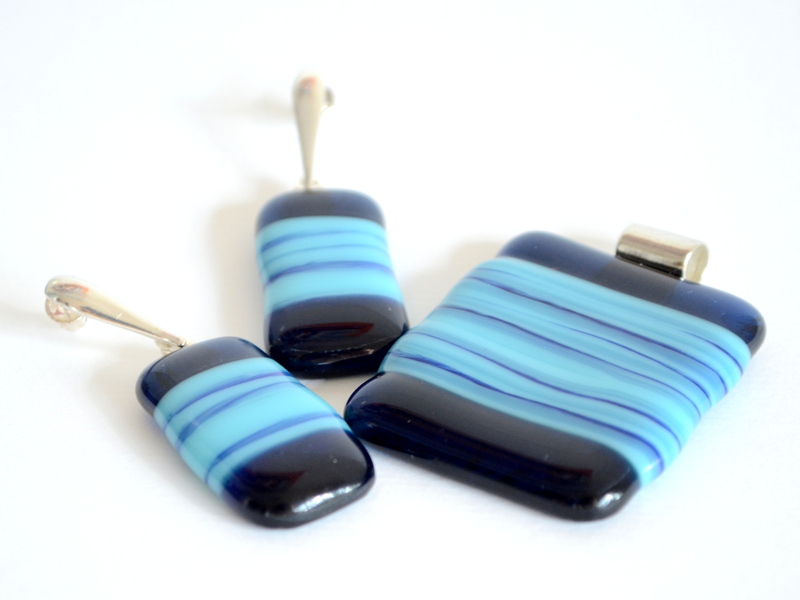 Fused glass jewellery – Recently I started to make glass jewellery using fusing techniques. I melt glass in as small ‘oven’ – HotPot. The results are astonishing… I just let the HotPot do the job – it is very excited as each piece is a surprise. Red Point Tailor was born! In my studio – located in Apeldoorn in The Netherlands – I make garments and glass jewelry with passion for quality, colour and simplicity. Join me on the way to more conscious life! PS. The story behind the name? Friend of my husband had a friend, who had a white cat with the tail ended in red. So his name was Red Point Tailer. Our one of the first cats was grey with the tail ended in white. Our last cat was red and white… my grandfather was a tailor so somehow we came up with … the Red Point Tailor. Just a little fun! Clapping my hands gleefully at the name story and your journey. I am mostly excited to see where you live because guess what . . . . I will be sojourning to Reeuwijk in the Spring . . . yippee for me. Which reminds me . . . I need to get busy purchasing my “Dutch” Notebook for I have much to learn. Ik ben dus heel blij dat het zien van uw blog en het lezen van uw naaien succes. Hi Lyric! How wonderful! Reeuwijk surrounding is so beautiful! Success with moving and let me know when you ready or need any help. Oh, I won’t be “moving” simply visiting friends. So good to hear from you. Ach! I misunderstood – I hope you enjoy your stay! Really interesting to hear a bit of background and I adore the name story!! Imagine my horror when today I discovered that I was not “following” your blog anymore! Well I fixed that right away, I am following again! Probably because of my fat fingers on my little touch screen! Now I have a lot of your posts to catch up on! I wonder if I did that with anyone else? 😀 I hope you will enjoy 🙂 You are busy with great projects – it is fine to read your posts. Love the name – Red Point Tailor. You are so talented! Hoi mevrouw Red Point Tailor, wat een verrassing deze blog/website, wat een creativiteit. Ontzettend leuk. We hebben elkaar gesproken op de technische modevakdag in utrecht. En je gaf me jou visitekaartje. Heel veel inspiratie toegewenst. I’m also starting a jewellery making class on Monday and this has me very excited! Best of luck with everything, looking forward to following! Wow! What great Monday Surprise! Thanks!